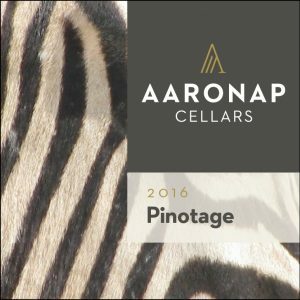 Summary: The ONLY Pinotage made in Massachusetts! Tasting Notes: The nose brims with notes of raspberries, cedar, nutmeg, & red currant. Round and rich on the palatte, and finishing with hints of woodsmoke and spicy tannins. Aging Potential: Drinkable in 2018 through 2025. Food Pairing Suggestions: The perfect pairing with grilled sausage, hamburgers, fire-roasted game meats, roast pork, or hearty pastas. Aging Protocol: 12 months in a used French oak barrel. Bottled aged for an additional 5 months. The 2016 grape vintage in South Africa proved to be one of the hottest on record, especially in the inland Breede River Valley area. This resulted in smaller berries with intense fruit aromas. After crushing the fresh grapes, 0.9 g/L tartaric acid was added to adjust the must acidity. Fermentation with ICV-GRE yeast was complete within 10 days. An additional 1 g/L tartaric acid addition was necessary after malolactic fermentation. The wine was aged in a 4 year-old French oak barrel for 12 months. Blending with cabernet sauvignon filled in some palate weight before bottling.